These Fallen Officers have paid the supreme price in service to their community. Each of these dedicated employees lost their life in the line of duty. The Brevard County Sheriff’s Office will always remember their service to this agency, and offers our condolences to their families and loved ones who share in this loss. Kevin James Stanton of Titusville went home to be with the Lord on Saturday, February 17, 2018. Kevin is predeceased by his loving mother, Debbie Stanton. Kevin is survived by his loving father, Jimmy Stanton, his loving sister, Katie Stanton, and countless other family members and friends. Kevin enjoyed movies, music, and could always be found in the presence of his family and friends. Kevin is defined by the life he lived and will be remembered by all who were so blessed to have been touched in some way by his words, actions or presence. Kevin was known by many titles, Deputy, Field Training Officer, Agent, Kev-O, Kev-Kev, and so many more. To Kevin, no titles were more important than Son, Brother, Cousin, Grandson, Friend, and Guardian. Kevin’s life was committed to the Lord, family, friends, and for the past 11 years, changing the lives of those in his community through service. Kevin always put the needs of others before his own and was able to touch so many lives with just a smile. Throughout Kevin’s life, everyone felt his love, compassion, and his commitment to serve others and more importantly, to serve the Lord. Kevin’s love for his Mother, Father, and Sister will never be forgotten. His memories will forever remain in the hearts and thoughts of everyone who was blessed to have known him. Kevin was tragically taken from us in an on duty traffic accident on I95 the morning of February 17, 2018. Barbara Pill was born in Miami, Florida in 1959. Prior to becoming starting her career in law enforcement, Barbara worked for the Miami Herald and also attended Miami Dade Community college. Deputy Barbara Pill was a 30-Year veteran of the law enforcement community. She was initially employed as a civilian staff member of the Metro-Dade Police Department in 1980 and performed a variety of essential services for 16 years. She joined the Brevard County Sheriff’s Office in 1997 and fulfilled her lifelong dream by becoming a sworn Deputy Sheriff with BCSO in May of 2002. 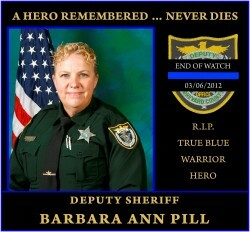 Deputy Pill was a highly decorated and respected member of our agency who was beloved by the Brevard County community. As a Deputy Sheriff, she served in many functions to include a Patrol Deputy, a Field Training Officer and a Criminal Investigator. She devoted much of her professional and personal time to dealing with at-risk children and assisting the seniors that had been victimized by crime. 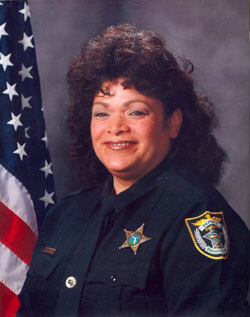 Deputy Sheriff Barbara Pill was shot and killed in the line of duty after stopping the suspects of a burglary near the intersection of John Rhodes Boulevard and Elena Way, in Melbourne, shortly before 11:15 am on March 6, 2012. She is survived by her loving husband Steve, her two sons, Jeremy and Ryan. 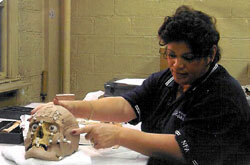 Lucille Ross was born in New York in 1953. She was an art major at the all-girl private high school, Prospect Heights. Even though Lucy’s family didn’t initially like her chosen profession, she insisted and attended the academy at the Orlando Police Department in 1973. Lucy’s first law enforcement job was as a Records Clerk and part-time Police Officer in 1975, then in 1977 as a Communications Supervisor with the Altamonte Springs Police Department. In 1978, she applied for Patrol Officer with the Titusville Police Department. For five years, Lucy was the only female officer in the department. Lucy was a female pioneer in a male-dominated profession. She faced opposition from her male counterparts until the day she saved a fellow officer’s life. Her actions won her respect in the department and proved her worth in the brotherhood. 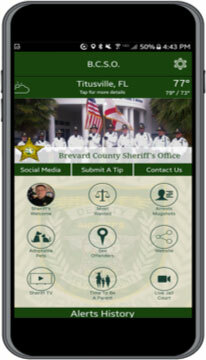 Lucy worked in many agencies, including the Altamonte Springs Police Department, the Titusville Police Department, the Osceola County Sheriff’s Office, the Orange County Sheriff’s Office, and the Haywood County Sheriff’s Office in North Carolina. She discovered her true calling while working patrol in the Orange County Sheriff’s Office. She responded to a murder scene. Before the detectives arrived, she had sketched the crime scene and collected thorough notes. Her supervisors saw her talent and recommended her as a Crime Scene Processor. In the Brevard County Sheriff’s Office, Lucy was known as a talented forensic artist, a Skull Reconstructionist and a friend to everyone. Despite her busy work schedule, Lucy always made time for teaching at the academy, training other department members, guiding the Explorers and painting the faces of hundreds of happy children at Camp Chance and schools around the county. Lucy’s co-workers describe her as the proudest cop, the nicest person they ever met, someone who could always see the bright side of every situation and who was always willing to give her time to help others. As if her time wasn’t enough, Lucy also donated nearly 80 gallons of blood over the years. She will be greatly missed. Ray was born in Charleston, West Virginia on July 8th, 1941. He was in the US Army until February 1964 as a SP/4 in combat construction and bridge building; and receive an Honorable Discharge, after serving in the Army, Warner worked as a security officer for Brevard Community College and at a few other jobs. 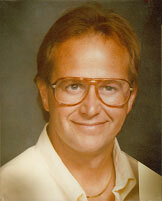 In 1979, he attended the Brevard County Police Academy. He joined the Cocoa Police Department for a year, then left to join the Brevard County Sheriff’s Office on December 2, 1980. 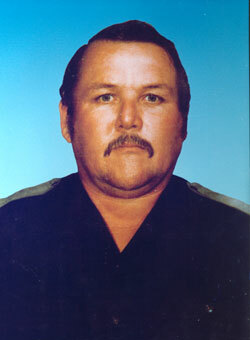 Deputy Warner received many commendations and awards including Deputy of the Month for September 1985. Above all else, Ray liked to hunt and fish, and to spend time with his four grandchildren. He is sadly missed, but not forgotten. Robert Nicol, Jr. was born in Coatbridge, Scotland, UK. Bob was in the US Army from September 1967 to May 1971 he received two Purple Hearts, a Bronze Star and the Army Commendation Medal for service during the Vietnam War. His first Law Enforcement job was with the Ontario County Sheriff’s Office in Canadaigua, N.Y. from 1976 through 1983. 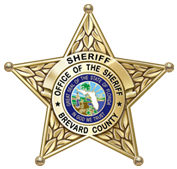 He became a deputy with the Brevard County Sheriff’s Office on May 18, 1987. Nicol Park on US 1 in Port St. John was named in honor of Deputy Robert Nicol. He is greatly missed by his family and co-workers. 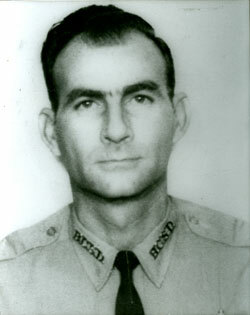 Amos Cox was born in Christmas, Florida. He was in the U.S. Army from 1943 to 1947 and served as a Sergeant in Japan during the occupation after World War II. 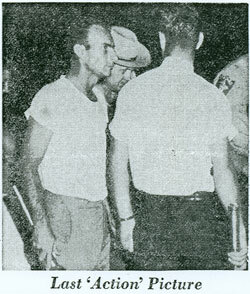 He worked as a long distance truck driver and heavy equipment operator before joining the Brevard County Sheriff’s in September 1961. 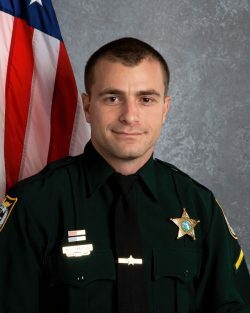 He is the first person ever lost “in-line of duty” at the Brevard County Sheriff’s Office. He had a calming effect on the public when they brought their problems to the Sheriff’s Office. He was an individual that other law enforcement personnel in the field turned to for guidance and suggestions because they recognized a man who could get a job done in the most diplomatic and effective manner.